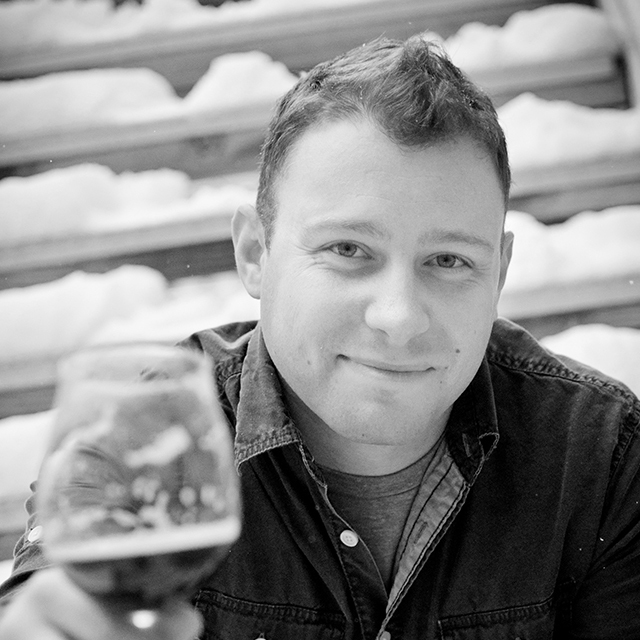 The Brewers Association, publishers of CraftBeer.com and the trade organization to protect and promote small brewers, released a list of the 50 Fastest Growing Craft Brewers in the country. This is the first time the Brewers Association has released a list of the fastest-growing craft brewers. 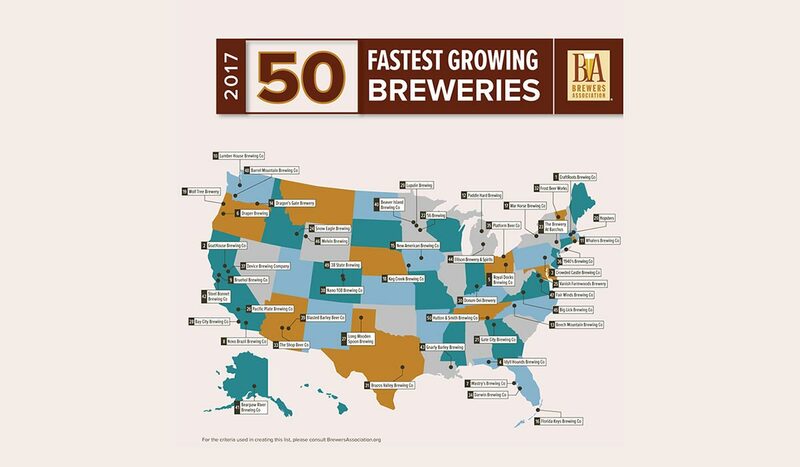 The new Top 50 list highlights that while overall growth is slower than previous years – a new BA report cited 5 percent growth in 2017 — many small breweries are also growing at gangbuster pace. “CraftRoots Brewing is grounded in a genuine grassroots idea: focus craft beer back to its field-to-glass origins. 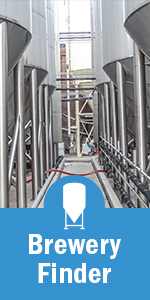 We brew fresh and flavorful home-grown ales that connect you to local farmers and craft maltsters,” the brewery’s website says. 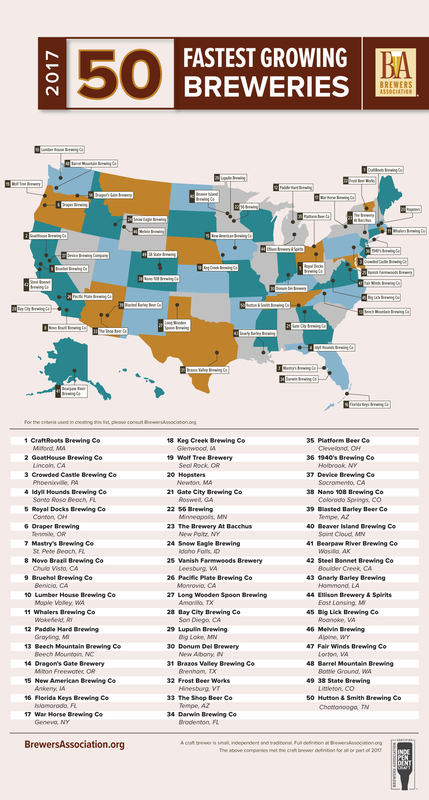 The list of 50 swiftly-growing independent craft brewers represents 25 states and a diverse cross-section of the craft brewing community. Of note, the state of California lays claim to the most breweries with speedy growth with seven breweries, followed by Florida with four. Minnesota, New York, Oregon and Virginia are each home to three. The full list is in the graphic below. Median growth for breweries listed between 2016 and 2017 was up 216 percent, according to the Brewers Association’s findings. During the same time frame, the median size of these breweries grew by 679 barrels, suggesting that these breweries are some of the smallest in the country — about 5.5 percent of the overall craft barrelage in 2017. Swift growth is particularly impressive when you consider the overall United States beer industry was estimated to be down 1 percent last year. Earlier this year, the BA provided a list of the 50 largest craft brewers by sales volume in 2017. You can see more on the list of the fastest-growing craft brewers, as well as the methodology on how the Brewers Association compiled the list, on the organization’s website. More craft brewer stats, including published barrelage numbers are expected to be announced at the industry-only Craft Brewers Conference in Nashville, Tennessee, later in April, and in the Industry Review issue of The New Brewer magazine in June.